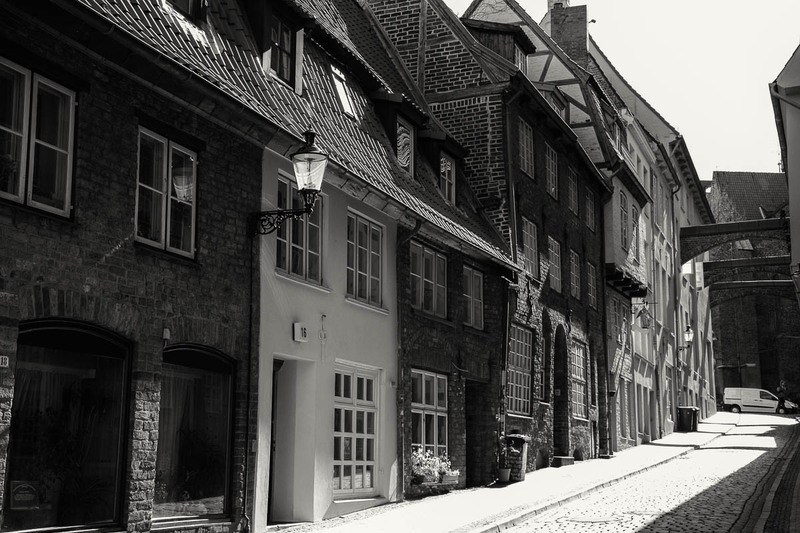 Above you can see a small alley or street in the historic district of Lübeck. It’s the most interesting district in our city because there you can still find old construction styles. In other words, you find a lot of buildings with brick stone. First I wanted to upload the photo in color, but it was shot in JPG and the image contained overblown highlights so that I decided to convert it to black and white. But that’s not bad either, because I love black and white photos and it works with the photo above as well. I’ve been to Lübeck a few times 🙂 Aww, no comparison shot? 😉 It turned out lovely. Wow, I didn’t know that. Business-like or holidays? 🙂 I hope you liked it here. I think our inner-city is interesting for tourists, but apart from that, everything around it is just residential areas or industrial areas. But the inner-city has some interesting alleys and old architecture. I hope you will enjoy Denmark if you ever decide to come here too!